A first look upon entering Dr. Cain’s Comics and Games in San Luis Obispo, Calif. while Reid Cain walks to the front of the shop. Photos by Michelle Zaludek. Before we can get into the finer, fancier details of enjoying your comics and caffeine, we should go a little broad: buying traditional comic books. Trust me, I get it. 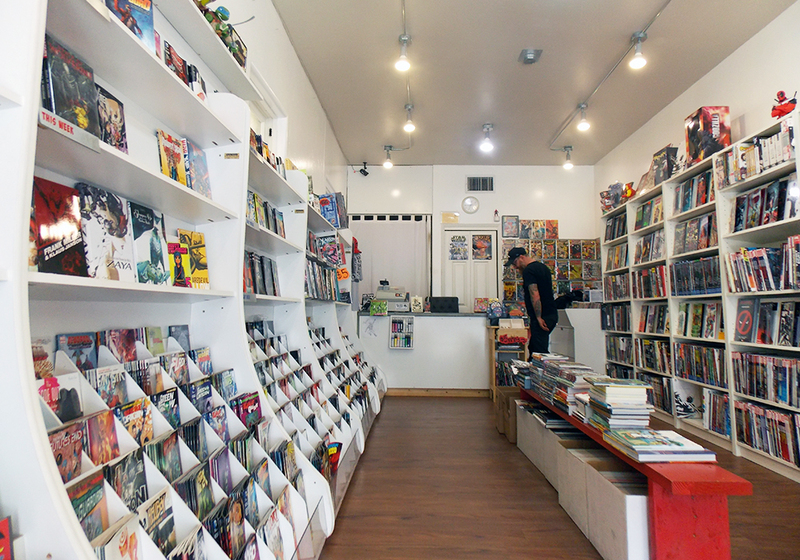 Walking into a comic book store can be a little daunting — read: very daunting. Some places are apt to make you feel a little like you’ve walked into a place where you’re just not welcome. Since the Bronze Age, where the gritty superhero story reigned supreme, a large portion of the male audience created a culture of exclusivity that surrounded the medium. “As [comics] grew and matured, they started to attract a wider audience,” said co-creator of Miscreant Studios and comic reader, Hank Garcia. Even though men — and pretty much everyone — in tights are great, you don’t have to feel confined to them by any means on your quest for the one comic to rule them all anymore. 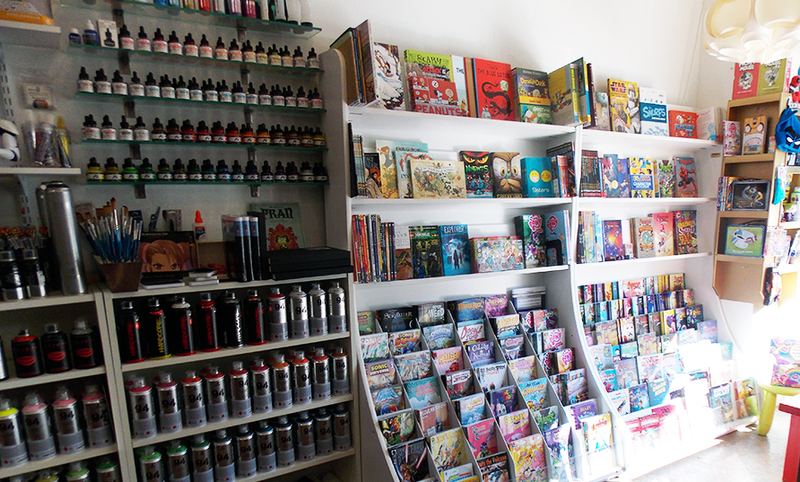 Cain emphasized that keeping a clean, well-lit shop that people felt comfortable exploring was a top priority for him. “Ultimately, let your yes’s be yes’s and your no’s be no’s,” said comic reader Gabriel Gomez. Additionally, whether you want to read an indie series or a big-name title, don’t worry about starting at the very beginning. Anything you’re unsure about can be Googled. Besides, some issues are great as standalones anyway. Do you have to know the characters in volume 2 issue 11 of Justice League of America to get what’s happening and be invested? Definitely not. Now that you’re prepped for your shopping trip, be ready for our first pairing coming up this weekend. Dr. Cains is a great place to purchase comics.